If you are looking for an electrical services provider that can handle any size or type of job, consider VMA Electric. We’ve been providing comprehensive repairs and installations throughout the Southborough, Massachusetts, area since 2008, and our electricians have the experience needed to do the job right the first time. One of the reasons why VMA Electric stands out among the electrical services providers in the region is our commitment to our customers. We employ licensed technicians who average more than a decade of experience, and we do our best to send a technician who specializes in the area of expertise that your project requires. 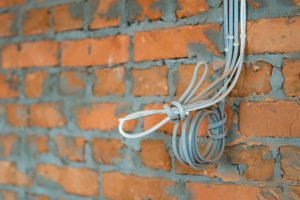 We also make sure that our electricians are trained on the latest industry advancements so our customers benefit from the use of cutting edge installation techniques. Additionally, company owner Victor Archila tries to be involved in every job we do to ensure that the high customer-service standards he demands are adhered to at all times. If you are in need of electrical services for your home in the Southborough, MA, area, contact VMA Electric today. We’d be happy to answer any questions you have.